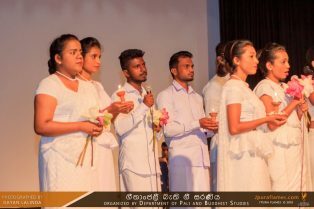 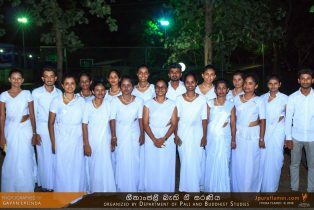 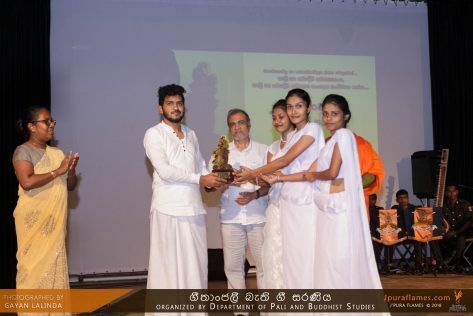 “Geethanjali Bathi Gee Saraniya” an inter-department and inter-faculty Bakthi Gee (Devotional Songs) competition organized by the Department of Pali and Buddhist Studies of FHSS, was held on 26h June 2018. 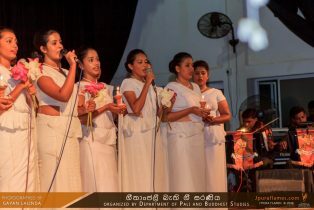 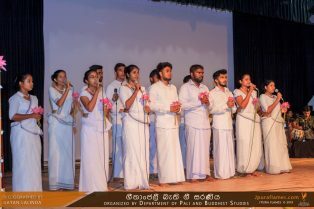 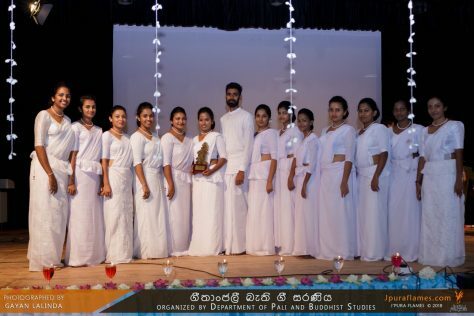 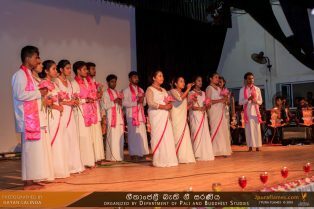 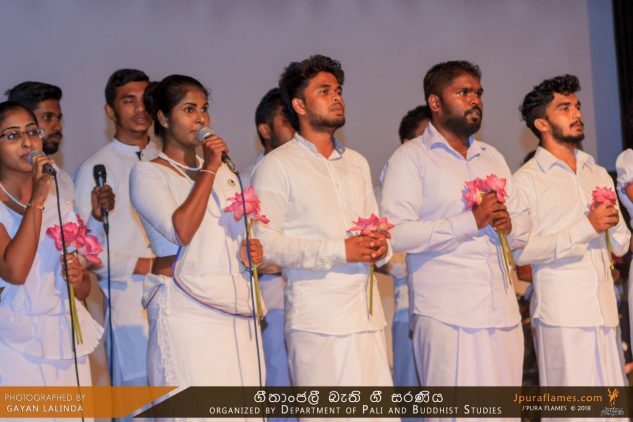 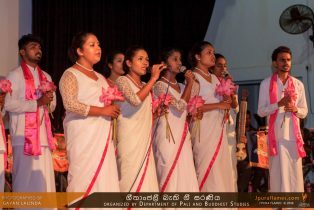 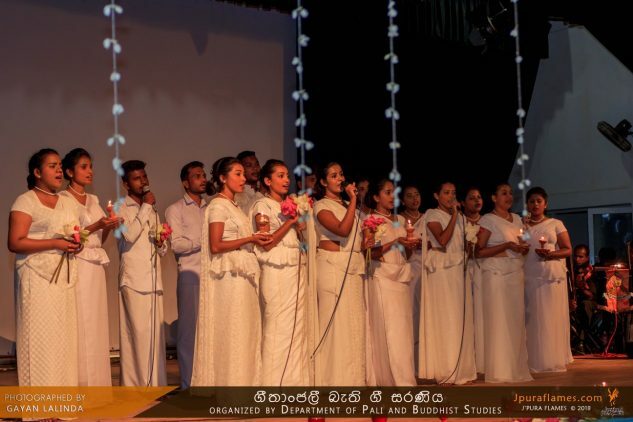 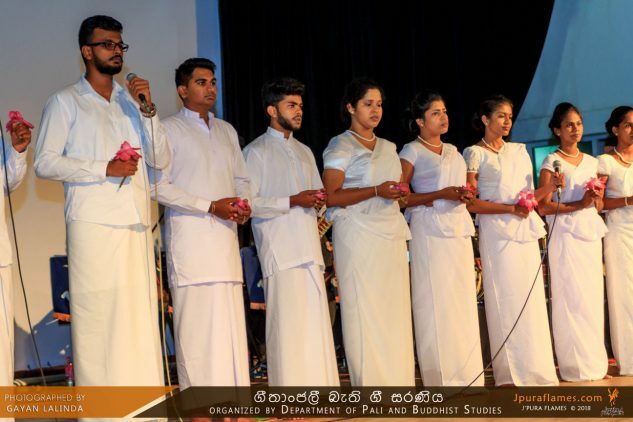 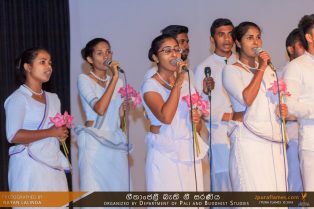 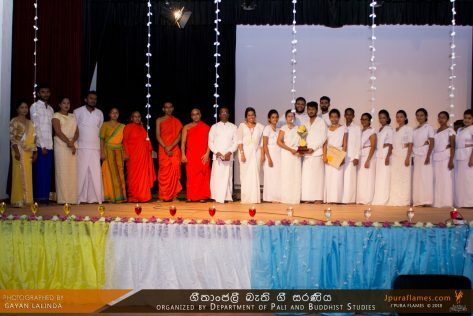 It was a function that brought together all Departments and Faculties of the University under one roof to perform and be a part of an evening full of devotional tranquility. 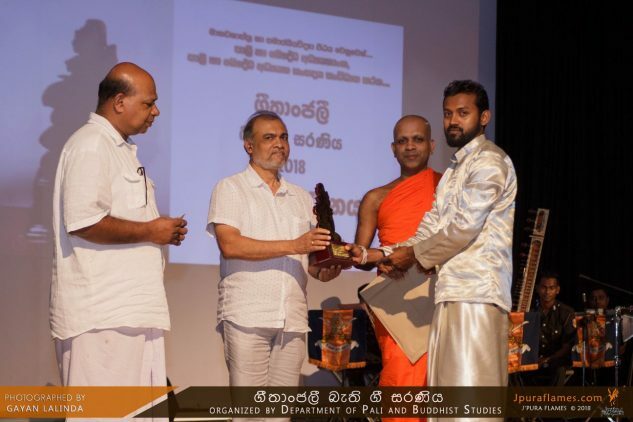 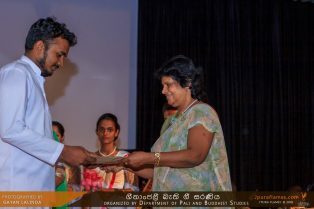 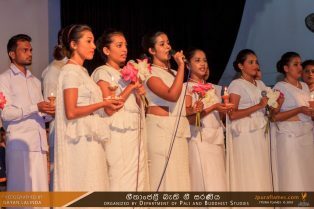 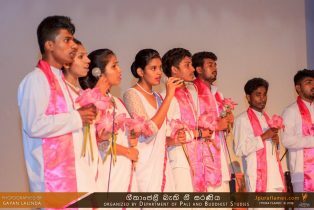 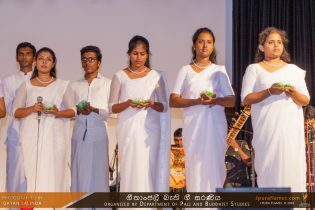 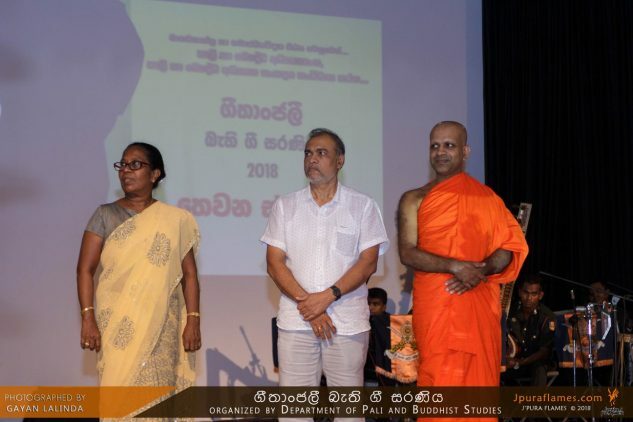 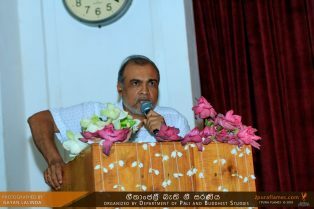 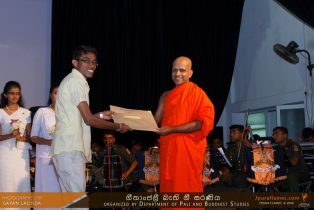 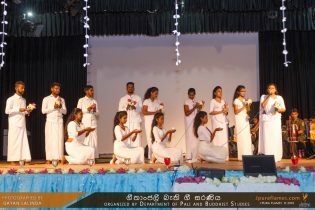 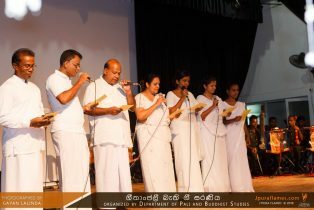 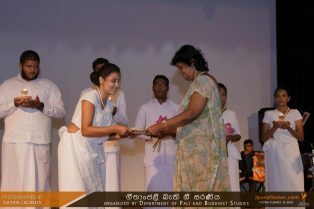 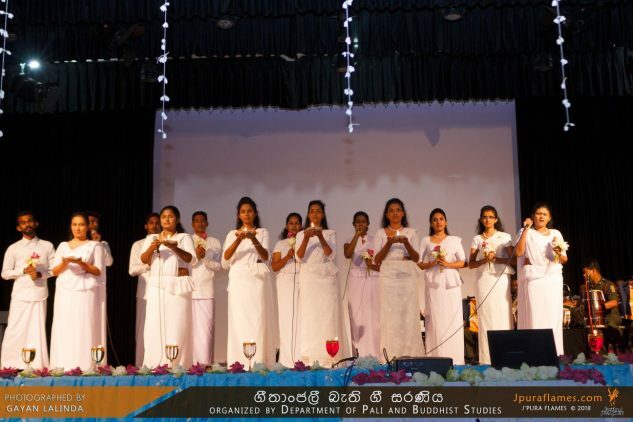 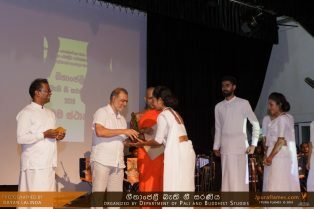 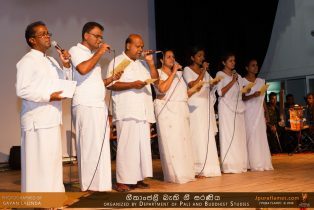 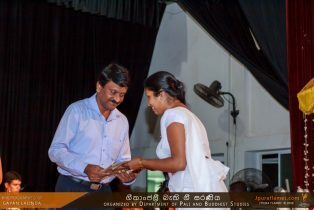 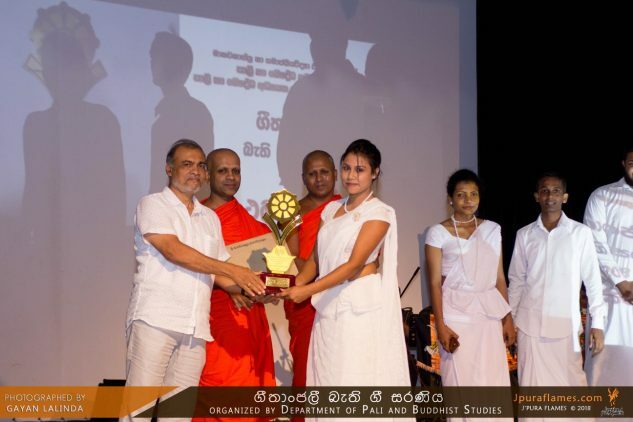 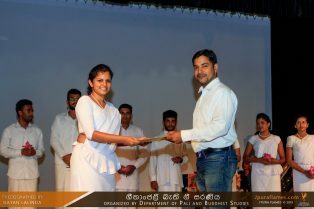 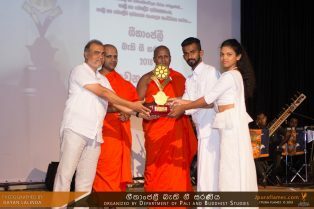 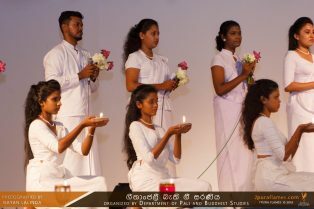 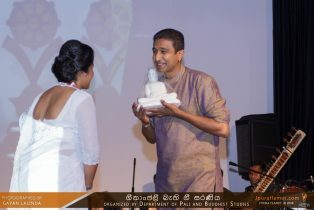 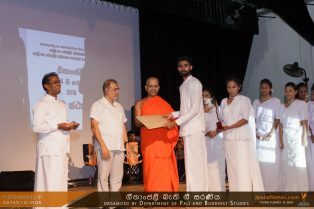 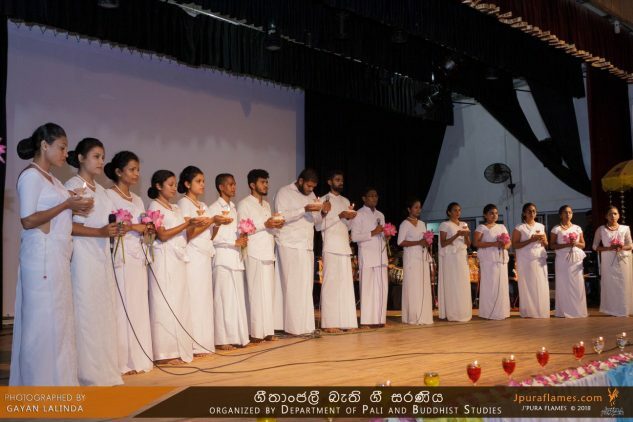 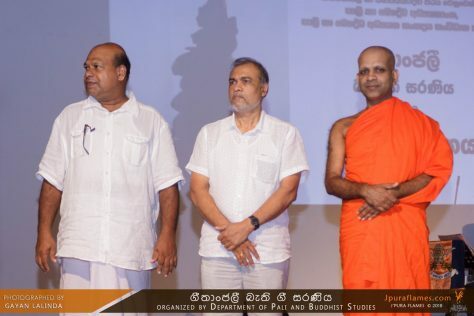 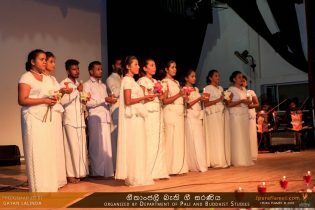 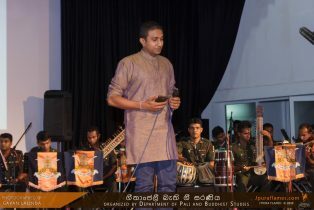 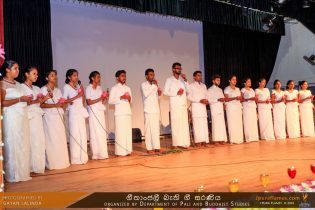 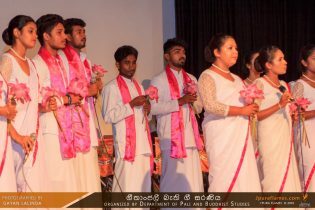 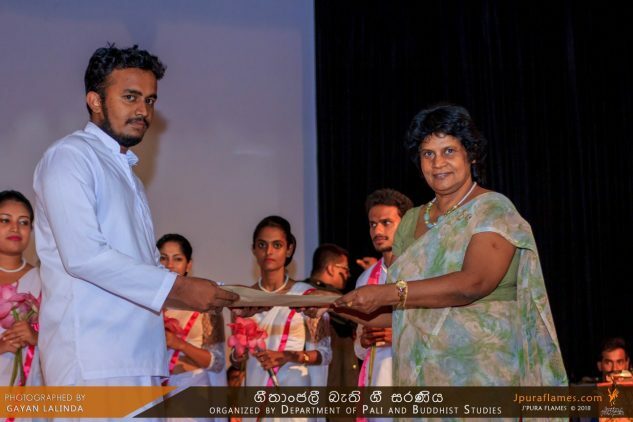 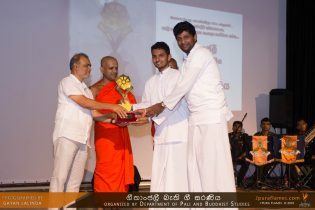 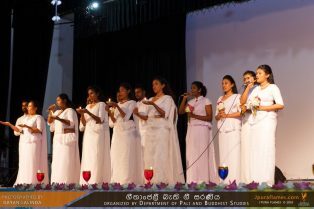 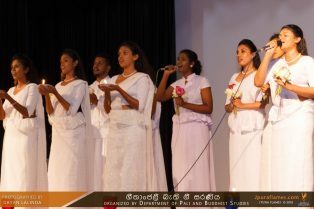 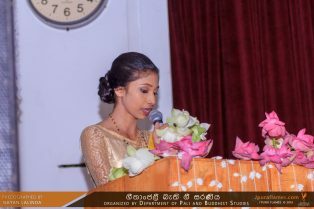 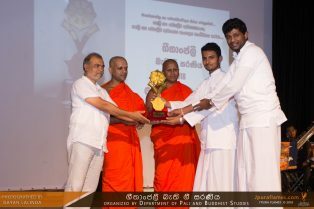 Coordination of this event was by Dr. A. M. Nimal Wasantha Mendis, Senior Lecturer at the Department of Pali and Buddhist Studies, under the pontification of Ven. 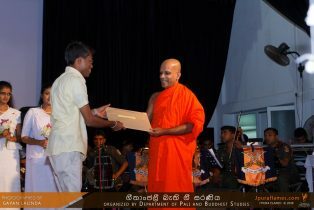 Dr. Medagampitiye Wijithadhamma, Head of the respective department. 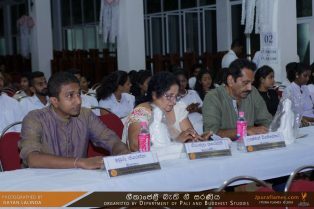 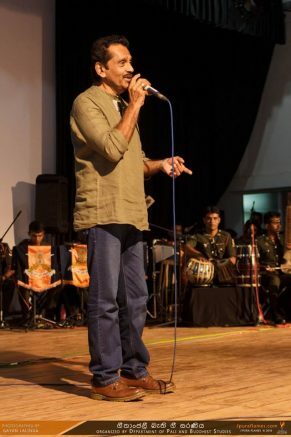 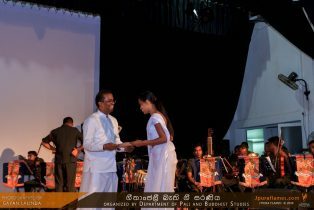 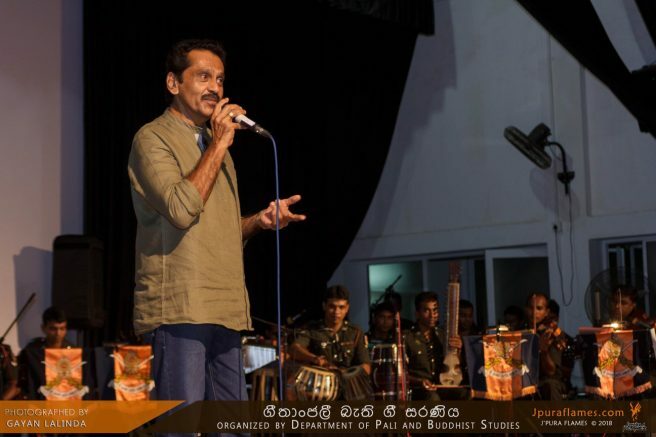 The evening was graced by Prof. D. P. S. Chandrakumara, Dean of the Faculty, and by the judge board included prominent figures in the Sri Lankan Music industry such as Mrs. Niranjala Sarojini, Mr. Isuru Jayarathna, Mr. Lakshman Wijesekara.